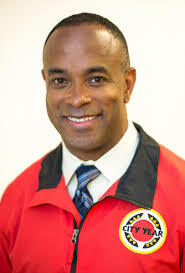 On Work and Life Stew Friedman spoke with Ric Ramsey, Executive Director and Vice President of City Year Philadelphia, a national non-profit dedicated to fighting the national high school dropout crisis. Ric also spent a decade at the Leadership Education Development Program (LEAD), a national organization working to identify and nurture high potential youth of diverse backgrounds by developing them into high achievers and responsible leaders. Stew spoke with Ric on preparing young men and women from minority backgrounds for successful careers. Stew Friedman: Why did you choose to use your skills to help those in the minority community – particularly men – to advance and contribute? Ric Ramsey: When I was doing an executive MBA program at NYU Stern, I began to think about what my legacy was going to be. I was in a conversation with some of my peers, and one of my colleagues asked me what my legacy was going to be. At the time, I was working in a traditional role within a corporation. I looked at him with a blank stare; I hadn’t really ever thought about it. I had traveled around the world, worked in technology for a couple of years, and I was studying to get an MBA, when he told me I really ought to do something for the African-American male community. He felt that, at the time, I was pretty self-serving. I wanted to be the next great wealthy entrepreneur. But his comment led me to reflect and wonder, what if I went into the non-profit space for just one year? Well, here I am, twelve years later, because my soul was awakened. SF: How did you discover that this was your calling? RR: Self-reflection. I realized that I woke up every morning feeling alive at the idea of going to work, and I came to that feeling while running this small non-profit. Every day was a challenge, but the reward was always significant, and every day made me feel that I had a purpose. Now that I’m in City Year, we’re having an impact on 7,000 ‘off-track’ young people in 18 schools throughout the city, and my army of 255 Americorps members are working with them from 7 AM to 5 PM every day. SF: Tell us about your mission and accomplishments with LEAD. RR: The goal was to identify the nation’s most talented students of color and expose them to business, engineering, and the sciences and provide them a full view of what it takes to thrive as, say, a Wharton undergrad. So we would bring the students to Wharton for an entire month, and have them engage with professors on what it meant to be a student here – the academics as well as the socialization. SF: I’m sure that’s such a crucial aspect of thriving here, and in the upper echelons of business society. RR: Definitely. You discover how to thrive in a very intimidating environment. This institution has the world’s leading young people coming to it, and LEAD helps minority students navigate that environment. For that summer LEAD session we put students in colleges across the nation to gauge whether it might be the right environment for them and help nurture them as they enter some of the world’s most elite universities. SF: What have you accomplished? RR: When I joined LEAD twelve years ago it was very small, less than one-million-dollar organization. Upon my departure two years ago, we were a five-million-dollar organization on 14 different campuses. We started with Wharton in 1980, but we have since expanded, even internationally to South Africa, with plans to go to Canada and others. They’re still thriving without me. RR: I think you start with the man in the mirror. I grew up in Denver, Colorado in a single parent family. We were on welfare, but I didn’t realize we were poor or think I was missing anything. I grew up in a loving household where I was taught that the sky was the limit. But, for example, my mother didn’t have a car so you’d always see me at a bus stop. And I thought it was great, because it was all I knew. I didn’t think there was anything negative about the way we lived. When I was engaged with the LEAD program and telling very bright young men and women of color that the sky was the limit, I knew I would have to educate them on the socialization necessary to achieve their goals without being deterred by words or actions of others. SF: How did you do that? SF: That’s the essence of what I’ve been teaching in my Total Leadership class for over 15 years. This is universal! The principles of being real and acting with authenticity by clarifying what means the most to you – that’s how it has to begin. RR: You have to ask that question to yourself as well. What is it that I want to be? Where do I want to be at this particular stage in my life? And you also have to be grateful for the mistakes and the success along the way. I am true believer in the idea that you learn more from your mistakes than your successes. Every time I make a mistake I think, ‘this is going to be so great,’ because next time it’s not going to happen. SF: Hopefully! So you start by asking people where they want to be right now. Is that an easy question for an eighteen-year-old to answer in an authentic way? RR: We know our kids. I remember when I was speaking to Oprah Winfrey – if I can name drop here – and she said to me, ‘You know Ric, we all have our gifts.’ That resonated with me because my gift is to engage with people and have a true-to-life dialogue. I tell them that, as a mentor, I’m going to hold them to a standard of excellence that might be just a bit tougher than their family might hold them to. It allows teenagers to open up, and when I hear them lock into a more focused view of where they want to go next, I drill down and ask them to tell me more, and then probe making it cohesive with their plans. It opens up the floodgates, for example, when I ask them why they’re applying to a local college if their passion is travel. SF: So you challenge them to focus on things that matter to them in a loving way by expressing a natural curiosity about their desires. SF: What do you do once you discover that passion? SF: How do you scale this? You’ve learned the craft of mentorship through a lot of trial-and-error. Tell me more about your army of 200 and the young people they directly touch. RR: The 255 Americorps members are about 85% undergraduates or college grads, who work with about 7,000 students. Scaling begins with the little things I do at the office, which all goes back to the power of listening. More than an open door policy, I announce to the staff via email the new assortment of candy that I have in my office to encourage them to come in to say hello. At City Year, these 255 Americorps members serve in 18 schools across Philadelphia for one-year terms. They provide support during the school day, and they engage with the students in math and reading interventions. The goal is to reach them between grades three and eight in order to reduce the dropout rate, based on research by Johns Hopkins Talent Development Group and Dr. Bob Balfanz, who did ten years of research showing that early warning signs indicating that a child is going to drop out can be addressed if they are focused during the right periods of this child’s life. These indicators include attendance, classroom behaviors, and literacy. Continuously intervening each year is what makes a difference. Teams of ten to twelve corps members are inside each school every day working with school staff with a focus on “off-track” students with plans to get them back on track. SF: How are you doing with that goal? RR: Very well. 72% of the students that we worked with from the list of “off track” students last year went up one assessment level in math and reading. When City Year intervenes, we consistently move the students back on track. We now aim to scale up to the entire city and then the entire nation. Caller (Lee): Ric, I was wondering how we could apply your principles to perhaps retool veterans to society, seeing as they’re socialized to the army. As a veteran myself, I deal with similar challenges on how to find myself, where I want to go next, and what I want to do. Listening to the model that you have created, I want to hear your thoughts on how to create something like this to be appropriate for veterans? RR: In terms of retooling yourself, the hottest products on the market nowadays are veterans! My wife is a veteran and has shared the interest by corporations and other organizations including universities to bring more veterans in. If your goal is to develop your own non-profit to support veterans, my recommendation would be to start small, identify those entities that would be interested in engaging with veterans to get some form of organizational support, and then work with the business community to help you establish 501 (C) 3 or non-profit status. Know that as a veteran you are a pretty hot product in the market right now, and if you can leverage or communicate that fact to promote the launch of a business or non-profit, I think the market is ripe and ready for that. SF: Lee, thank you so much for calling. Ric, what can you say to people about what employers could be doing to help your cause? RR: In Philadelphia, we have a major challenge with the education group and their ability to fund organizations such as City Year. We’ve shared with the Philadelphia school district our plans for growth, and they are very excited about them, but we need the private sector to step in and support that. We can have an impact on up to 50% of the off-track students in this city over the next ten years if we are given appropriate funding. Visit City Year’s website to learn how your corporation can get involved with City Year, either directly via employees or by engaging in schools. You can also follow @Cityyearphilly on Twitter. 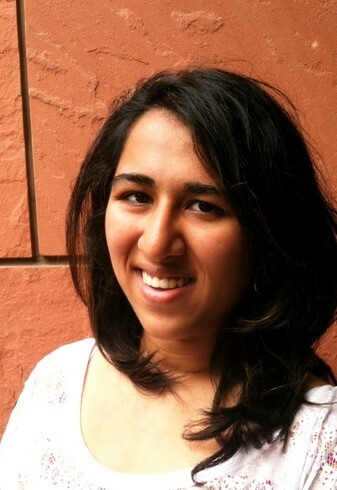 Shreya Zaveri is a junior in the Wharton School studying Management and Marketing and OPIM with an International Relations minor. She also serves as a vice president for the Work-Life Integration Project Student Advisory Board.